At Capital Chiropractic & Rehabilitation Center, we know that one of the most important times we can help a person is when they are experiencing a big change. That change may be experiencing an injury, preparing for a race, rehabbing after surgery, making a plan to improve their wellness, or helping figure out what is wrong in the first place. One of the biggest changes that a woman, her family, and her community can face in a lifetime comes with pregnancy and parenthood. As a clinic that sees many families, kids, and mothers, we know that the prenatal, postpartum, and parenthood eras are crucial for getting support and being as prepared as possible. We have seen the difference that a compassionate community and empowering information can have in building confidence, strength, and well-being for mothers. That is also why our clinic is thrilled to hear from Dr. Abbi Rickelman and Dr. Liz Sweers, co-directors of BIRTHFIT Des Moines, a recently-launched arm of the national BIRTHFIT organization, which will help increase this access for women in Greater Des Moines throughout their pregnancy journeys. Drs. Abbi Rickelman and Liz Sweers practicing the fitness pillar of BIRTHFIT. Tell us a bit about BIRTHFIT Des Moines. What is it, in a nutshell? Who is it for? Why did you bring it here? BIRTHFIT is a worldwide movement to educate, empower, and support women and families in the prenatal and postpartum phases. The pillars of the BIRTHFIT are fitness, nutrition, chiropractic, and mindset. With this foundation, our goal is to empower women by giving them educated choices and allowing them to better understand their bodies. As BIRTHFIT Des Moines (DSM), our flagship services are prenatal and postpartum classes for women and their partners. Our prenatal programming teaches women about their options during the motherhood transition, as well as how to move well, how to eat well, and how to think well as we support them through their journey. In the midst of many options and perspectives on birth, our goal is to make a safe place to discuss and learn about any and all topics surrounding birth. The BIRTHFIT postpartum class is for women in the phase after pregnancy (this includes miscarriage, stillbirth, and other outcomes of pregnancy). Here, we focus on the movement and fitness pillar of BIRTHFIT to help women who are just getting back to moving. For those that are already working out, it helps them move in a more mindful way and at a more optimal level. Mindset is also a focus during these classes, as the motherhood transition comes with a lot of change, emotion, and sometimes, trauma. Additionally, we host power hours and workshops about BIRTHFIT to introduce the idea to a group. To see our schedule, visit desmoines.birthfit.com/takeaction. We started BIRTHFIT Des Moines to offer more out-of-hospital birthing education. In our practices, we have seen women who are suffering with postpartum depression, diastasis recti, and pelvic floor dysfunction, with little to no support. Also, the national C-section rate is 30 percent, though the World Health Organization (WHO) recommends a maximum of 10-15 percent. BIRTHFIT Des Moines was started to help answer questions and bring some solutions to these problems. Ultimately, we are here to empower women and families. BIRTHFIT’s mission is: to cultivate awareness and enhance education throughout the motherhood transition by developing and producing one-of-a-kind BIRTHFIT experiences through in-person classes and distance learning so that a woman has the space to make her own informed, intuitively-guided choices. We see a significant need for support for women during preconception, prenatal, above all, postpartum phases. We want expecting and postpartum moms to be empowered to take charge of their bodies and their decisions, while supporting one another’s journeys — together and apart. We challenge the status quo and ask questions few others ask. We read, research, experiment, and consolidate all the common sense, time-honored wisdom, and recent studies we can find. We unconditionally support the birth mom and birth partner to make the best decision for them and their baby. Childbirth is perhaps the most physical, mental, and spiritual experience of a woman’s life. We help women to be ready in body, mind, and spirit for the experience of birth and the lifelong journey that follows. Although BIRTHFIT Des Moines is comprised of two chiropractors, BIRTHFIT as a whole is a team of practitioners, educators, chiropractors, coaches, nutritionists, fellow mamas, men and women who are involved in several communities throughout the nation — and we are all rooting for MAMA. Liz Sweers leading a BIRTHFIT Des Moines postpartum group training course. Our approach is unique in several ways. When you look at the postpartum community in Central Iowa, there is very little support. Typically when people undergo a big procedure, there is a plan of action for recovery and goals to be met along the way. For women who have just given birth in a hospital setting, they are sent home and told to return in six weeks. 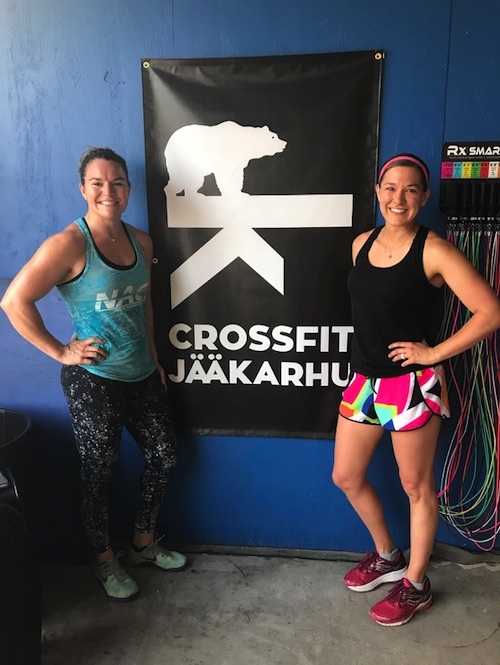 What we ask is: “What are they supposed to be doing during these six weeks?” “How are they recovering mentally and physically throughout this time?” This is where BIRTHFIT comes in. We want to help guide women prior to birth and after birth so that their transition into motherhood is as easy as possible. We help women rehab the mind, body, and soul. We are also an unbiased form of education and support. Although we both have preferences about how we want our personal motherhood journey to unfold, our clients would never know that when we teach. We simply offer information, then give mamas and their partners space to make decisions. Our goal is to create an environment were decisions can be made out of love instead of fear. What gets you two up in the morning? (Abbi) The number one thing that gets me up in the morning is purpose. Every day I get to seek out that purpose of loving people and helping them be the best version of themselves. The other wonderful thing that gets me up each morning is knowing that my husband, whom I adore, will be there smiling at me with a cup of coffee! Abbi Rickelman giving feedback at a recent BIRTHFIT Des Moines class. (Abbi) The Greater Des Moines community has people like no other place in the world. My husband and I lived out of the area for quite a while, both on the East Coast and other places in the Midwest. No other place has the kindness and positive spirit that the Des Moines area has. I think our secret about how great DSM USA is is getting out because this area is growing quickly. But with growth comes new adventures and new opportunity. I also love the countryside, so I enjoy that I can be in the woods or in the middle of the city within minutes depending on what I want to do. (Liz) I adore the Greater Des Moines community because it’s a small big town. You get the big city events, but it also a small town feel. The Farmers’ Market is amazing, the East Village has so many cool shops, and the restaurant/brewery scene is top notch. Nothing beats the Midwest vibe. It is a wonderful place to raise a family and build a business. The people have great work ethics and care for one another. It is everything you would want out of a community. 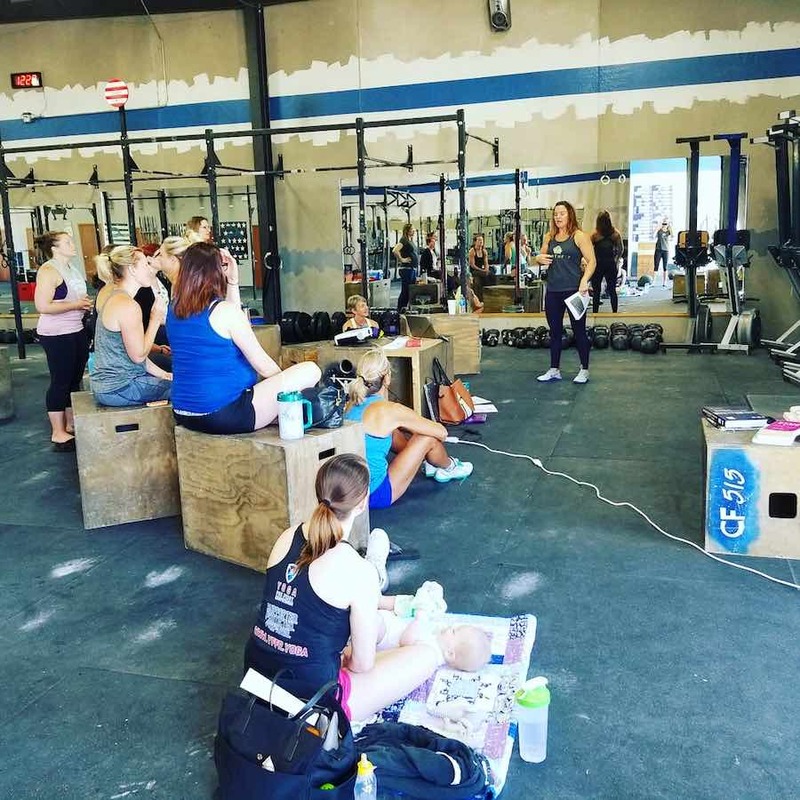 BIRTHFIT Des Moines is growing every day. 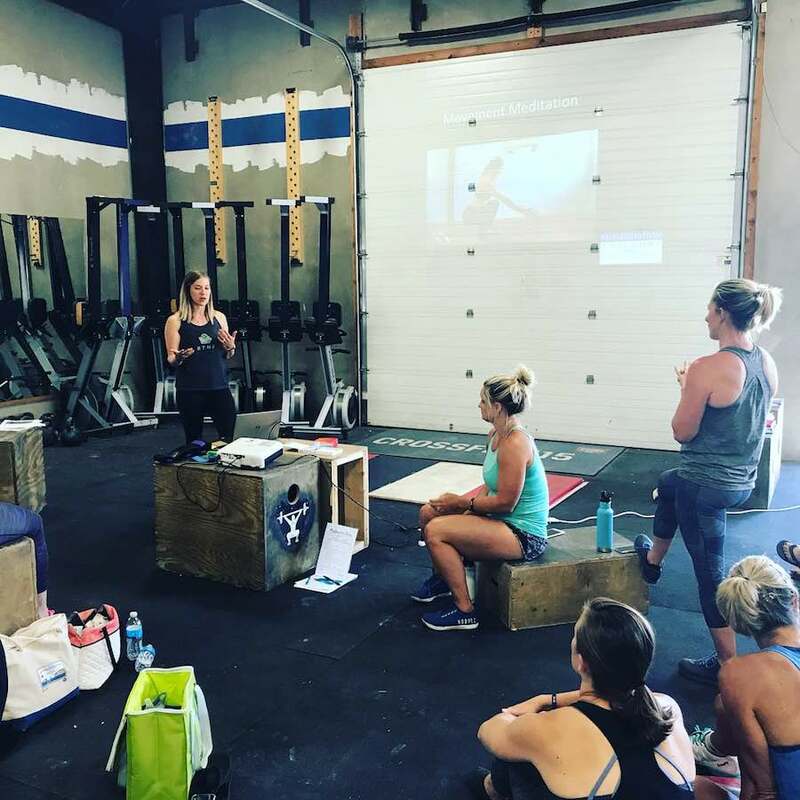 With time, we will add more classes and add individuals to help teach those classes and do more BIRTHFIT training programs. The bigger our BIRTHFIT community grows, the more we can offer women and families. We are always looking for facilities that would like to host our classes and individuals who want to join our team. Whatever the future may hold, our goal remains the same: to provide unbiased education and knowledge for women and families, so that they are able to make decisions not out of fear but out of love.